Cleans the air in your home better than any other single system you can buy. 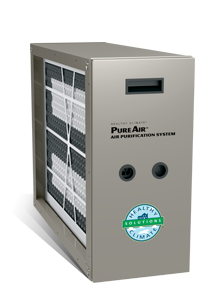 Your best defense against poor indoor air quality, The PureAir™ system uses exclusive UVA-light technology to attack all three classes of indoor air contaminants–particles, mold/mildew/bacteria and odors/chemical vapors. It not only reduces, but also destroys ozone, a known lung irritant. *MERV = Minimum Efficiency Reporting Value. Describes the filter’s ability to capture particles and ranges from 1 to 16. Typical fiberglass filter = MERV 1. 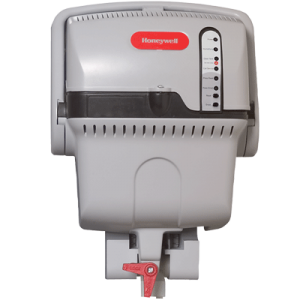 The higher the MERV rating, the better the filtration. **One micron = 1/25,000 of an inch in diameter. ***Based on laboratory and field studies. ****U.S. Environmental Protection Agency, “Ozone Generators that are Sold as Air Cleaners: An Assessment of Effective and Health Consequences,” August 2006.